Joel grew up overseas watching his parents proclaim the Gospel in Morocco and Spain; at ten, he recognized his own need for Christ’s redemption. He met and married Deb in Bible College and God has blessed them with the joy of raising two children, Logan and Katie, who are now married and serving God in their own families. Through more than 30 years together, they have watched God faithfully care for and prepare them to in turn minister to others. God sovereignly brought them to the Valley of the Sun from Spokane Washington, where Joel had served as an Elder at Faith Bible Church. When they joined Grace Church in early 2010, friendship formed quickly between Joel and Chris. With their kids grown, they are freed for greater ministry to the body. Joel helped with setup, led a Community Group and participated on the church Advisory Team, where he demonstrated wisdom, biblical insight and godliness. Following the biblical model of plurality in eldership, Chris approached Joel about his desire to serve in that role. After prayer and input from Deb, Joel agreed to pursue evaluation at the end of 2010. 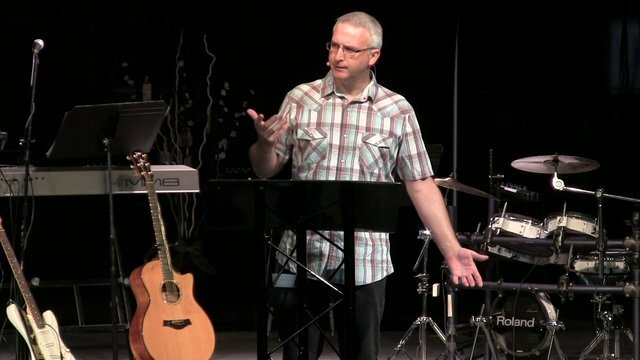 In October 2011, Joel was appointed as the second Elder of Grace Church, where he joyfully watched God work in people’s lives through our community groups, women’s ministry, and finances. Due to illness, Joel and Deb have since moved to the Denver, Colorado, area.